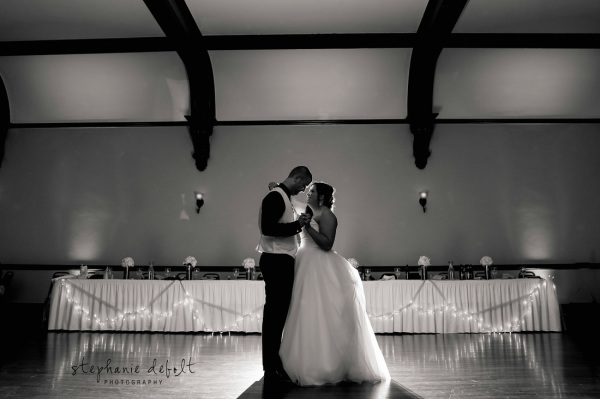 The Spohn Ballroom features modern amenities combined with historic elegance and charm, the ballroom accommodates up to 275 in an elegant atmosphere. Celebrate your wedding day by having your ceremony and wedding reception in the ballroom. Our quaint bridal suite is available with ceremonies at the ballroom. Thoroughly enjoy your special day as we take care of the event details for you! Round tables, chairs, linen table cloths and napkins. Skirted head table, cake table and gift table. Event setup, tear down and clean up. Elegant Chair Covers with sashes $4.00 per chair. Our Elegance in Thyme Menu offers upscale and truly unique selections. Your choice of Two Entrees, One Salad, One starch, Two Vegetables, Amish Rolls & Butter, Water Service for $29.95 per person. Select the Bar Package that is just right for you and your guests. Our downtown Goshen location at Main and Clinton Street is conveniently located for business meetings, training seminars, conferences and social gatherings. Spacious room at 3,760 sq. ft. with 11 large windows that let natural light in with incomparable views of the downtown area. Skirted registration and event tables. Professional Sound system, 2 speakers, microphone and podium. We serve breakfast, lunch, and dinner catered to your preferences by our professional catering staff. We can accommodate a large variety of different events in the ballroom, and would love to work with you on your upcoming event or special day. Ask about our special business pricing! Contact us to tour the historical ballroom! It was constructed in 1909 and has been restored to accentuate the charm and elegance of its 20-foot ceilings, large decorative corbels on the ceiling, wall sconces, wood flooring and original trim. The ballroom is a perfect venue for weddings, awards banquets, fundraising events, galas, auctions, business meetings and seminars. Planning an event during Holidays? Ask us about our seasonal menus offerings!